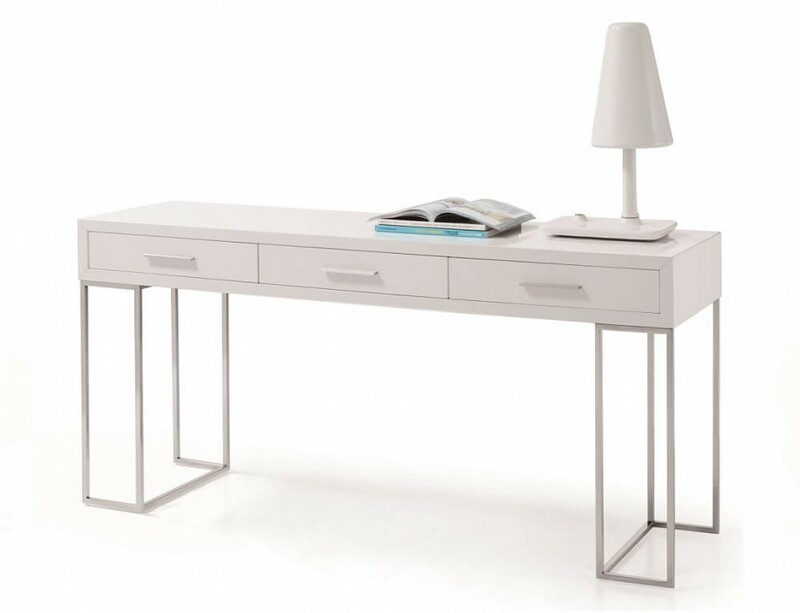 Designed with plenty of storage in mind the SG02 modern office desk features 3 drawers for adequate storage. 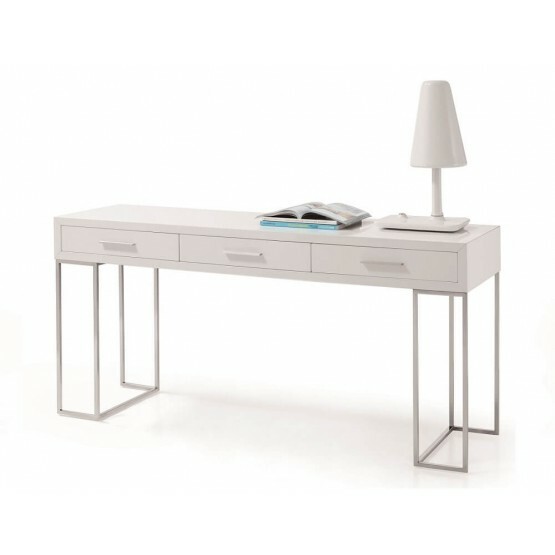 The contrast of the chrome legs to the white adds to the aesthetics for a extravagant, timeless design. W63" x D17.7" x H30"